When you bake bread you don't start by planting the wheat for the flour. Rather, you set off to the local grocery or supply store to buy good quality flour. You trust the farmer and milling company to provide you with a quality base ingredient for your baking. The retailers' distribution makes it accessible. All you need to do is take it a few steps further with yeast and flavoring ingredients for a magnificently freshly baked bread. If that is too complicated, there are even suppliers that will provide you with the frozen dough. All you have to do is pop it into the oven. Now you can do this with beer and cider too thanks to WilliamsWarn. "For as little as $1/month you will get the inside track on content like this and follow the travels of the Two Cowboys & A Camera. Join here." The principle is that there is a value chain in any production process whereby the materials are transformed from one stage to the next by adding value until it is eventually consumed. In some instances, it is advantageous to control the entire value chain. The truth is that very few industries in the modern world still do it. It is costly, labor intensive, uncompetitive and inconvenient. For example, for bread, the farmer plants the grain. The milling company adds value by milling, bleaching, and packaging. The food producer makes the dough and adds flavoring. The baker bakes it, brands it and the retailer distributes. The same applies to the brewing industry. The farmer plants the barley, wheat, and hops. The maltster malts. The yeast producer produces yeast. The ingredients manufacturer makes dry malts, hops, and liquid malt extracts. The brewer brews, carbonates, clarifies, brands and packages for the retailer. Some of the roles and steps in the chain may be combined. It is often done under the pretentious banner of "craft". Mostly, the value chain remains intact, and it is done more for marketing and brand differentiation. The brewing and distilling industries are coming to terms with an increasingly fragmented value chain. 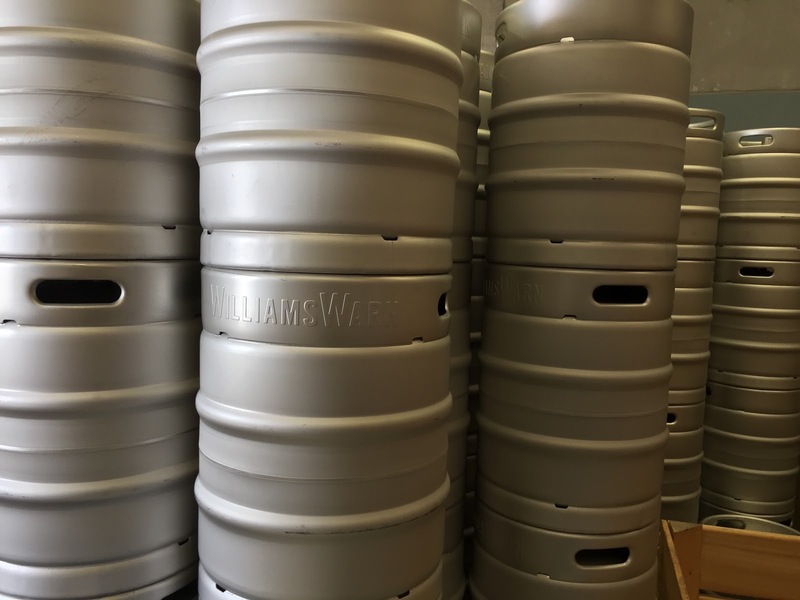 New malting companies and ingredient producers are coming to market and equipment manufacturers like WilliamsWarn are simplifying the brewing processes. The traditional players in these industries have mostly been "shielded" by decades of regulation. A few dominantly large corporations succeeded (and some still do) in working in concert with lawmakers to maintain the status quo and make it difficult for new entrants. For decades there's been an incentive for the value-chain to remain obscured from consumers through prohibition. Except for an adventurous few homebrewers, moonshiners and bootleggers, most people had no real understanding of how-to, or an incentive to brew their own beer, cider or distill their own liquor. It was labeled as a very difficult "art" or "illegal". All this is about to change dramatically, for good reasons. Maybe it is the emerging "hipster" value of a growing group of Generation X'ers that are yearning for authenticity or simply a rebellious libertarian streak to take back control of one's destiny. There is definitely a growing movement by more people questioning the logic that the only way to enjoy the sixth food group is through a government sanctioned licensed and excessively taxed supply chain. There must be an easier and more empowering way to beer drinking pleasure. People have been doing it for thousands of years. Why is it so hard, now? If you knew that freshly brewed beer tastes better, is more healthy, significantly cheaper and easy to do, you will be brewing yourself. It is now possible to enjoy your beverage from the best ingredients in the world, without the government dipping their tax finger in your pint. Here's how. If you can cook a sausage, you can brew a beer (don't tell your dress-up "craft brewing" hipster friends that you know their secret). It is time to exercise autonomy, freedom of choice, voluntarily associate, apply individual judgment and self-ownership. You can take back control of your beverage. Grow a beard. Un-invite your legislator and stop paying taxes for others' sins. Claim liberty by brewing your own beer. If you still need a further financial incentive consider this. On 5 August 2016, the Government of Alberta directed the AGLC (Alberta Gaming and Liquor Commission) to apply a standard markup rate of $1.25/L to all regular beers sold in Alberta (www.aglc.ca). Whichever way you look at this, it is the government putting their hand in your beer pocket and yanking a massive 30+% (one-third!) from your beverage budget. Add to this the manufacturing margins (which is a pitiful tax hand-back to breweries in the form of a grant), federal excise duty, recycling fees, refundable deposits, retailer and distributor margins, licenses, permits, inspections and to top it all off, GST! It is surprising that the CO2 from brewing is not also taxed through the most recent carbon (tax) levy political plaything. Are we missing something or is someone actually giving us an incentive to brew our own beer? When we embarked on our journey over a year ago, we had a significant goal in mind. Empower people to take ownership of their own destiny by making something. Give inspiration by showing how others are doing it and tell of the benefits they get from being producers. 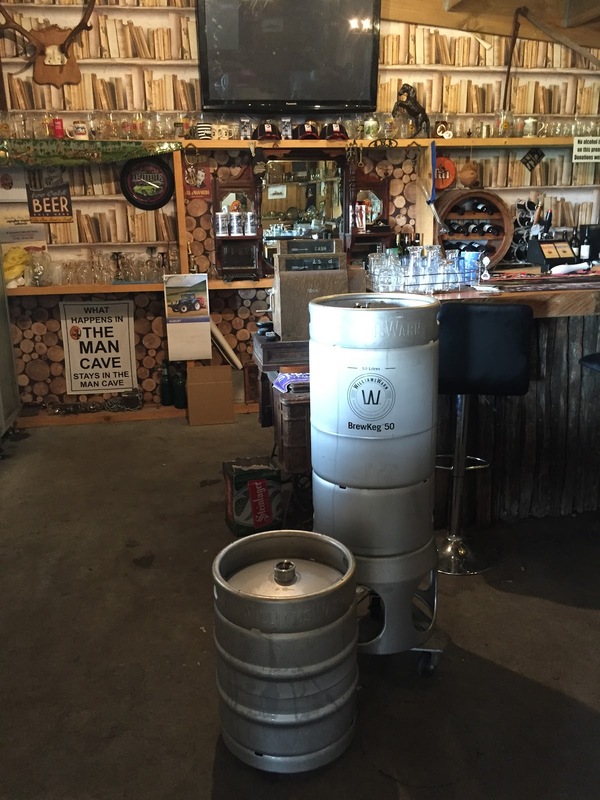 If there was ever a case to make something, then it is as simple as brewing your own beer for as little as $1.80 a litre in 4 - 6 days. 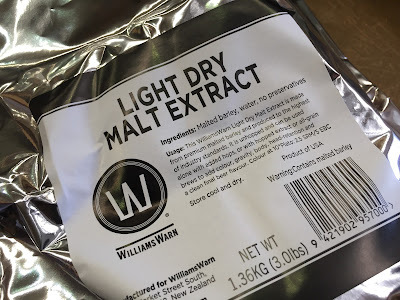 WilliamsWarn and the ingredients producers make it possible. It is legal to brew and enjoy your own beer in Canada as long as you don't sell it to your friends. Here's the real bonus. It tastes a great deal better, like home baked bread! People have come together for thousands of years around a meal and a beverage. Through the levying of compulsory and coercive money collection (taxation) and overbearing legislative authority, the government has increasingly invited themselves to the gathering. It is time to uninvite them. We are doing it, and you can do it too by producing your own food, and brewing your own beer. P.S. 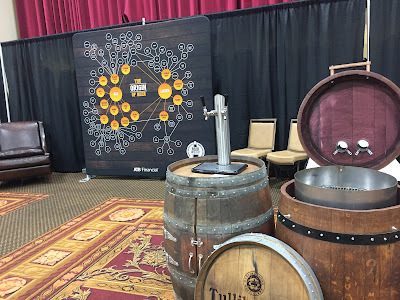 Here is a nice resource if you want to try your hand at distilling: Mile Hi Distilling. We are a content company. We earn our livelihood from producing great content about inspiring people and their stories. We use Patreon to help us earn from our work. It allows us to have a closer relationship with our collaborators and grow our audience. 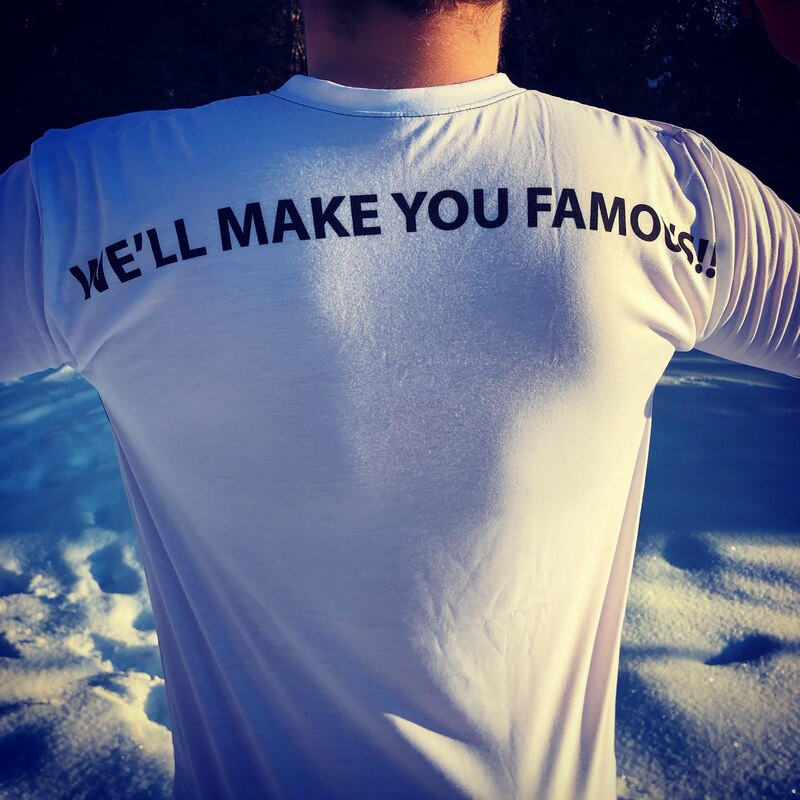 If you Sponsor us on Patreon: http://www.travelingcowboys.com or Donate to our cause on GoFundMe: http://www.forwardthefavour.com we can do a lot more for you, your business, event or community. We gathered in Red Deer, Alberta for the first annual Alberta Craft Brewing Convention on 28 and 29 March 2017. 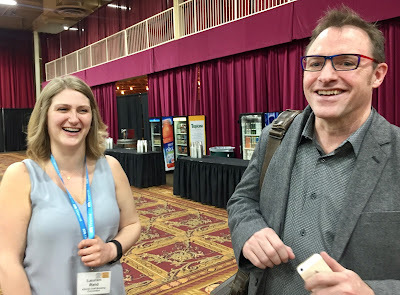 What was planned for a 100 attendee event by Alberta's Small Brewery Association turned into a whopping 300+ attendee gathering. Red Deer is in the centre of Alberta. Canadians consider Alberta barley to be the heart of the brewing universe. There is a new gold-rush on the prairies, and this time it is for golden liquid gold. It makes a lot of sense considering that the Province, and Canada in general, are late comers to craft brewing and distilling game. The country is finally discovering local beer thanks to a relaxation of regulations. It is something that stems from and still lingers due to a legacy in prohibition, controls, tariffs and a continuing governmental infatuation with "sin" taxation. All this cannot stem the newfound enthusiasm of more than 50+ Alberta craft breweries that already made their debut recently. Judging from the attendees at the convention, more breweries are to come. Even the Alberta's Finance Minister took time out to celebrate the newly found economic optimism with a handout (rather, a partial hand back) to brewing and distilling entrepreneurs in a Province where many businesses are still languishing in the doldrums of the 2015 oil price shocks. Alberta's infamous booze entangled history is well documented. 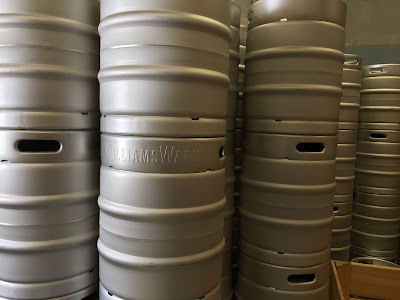 Maybe it is finally time that beer and whisky production is recognised as a responsible business, grown-up and the economic staple of a diversified Albertan economy. Booze production may just be the next provincial cash cow. It is already on track if you listen to the folks at the convention. Then again, they were well lubricated with free fresh beer when we quizzed them about the industry's viability. The people that pumped oil a short while ago are now boiling, mashing, fermenting and tapping. Everyone claims ambitiously and boldly to be a first in something. The first nano-brewery, first craft malting company, first sour producer, first up in the morning, first to put poetry on their cans, first on the corner and first to market with the next creative concoction dreamed up during a late night booze-fuelled brainstorming session. We'll leave the jokes about beer and beards for another time. Experts claim that Alberta can and should produce a lot more beer. The market is nowhere near saturated with craft breweries according to Alberta's Small Brewery Association's President, Terry Rock. The question will be if there are enough drinkers for all this creativity? Will the capital that is pumped into these optimistic ventures actually return a profit? Two things we know about beer. Like bread, you need to enjoy it is fresh. Like a good Alberta steak, it is best when you share it with friends. 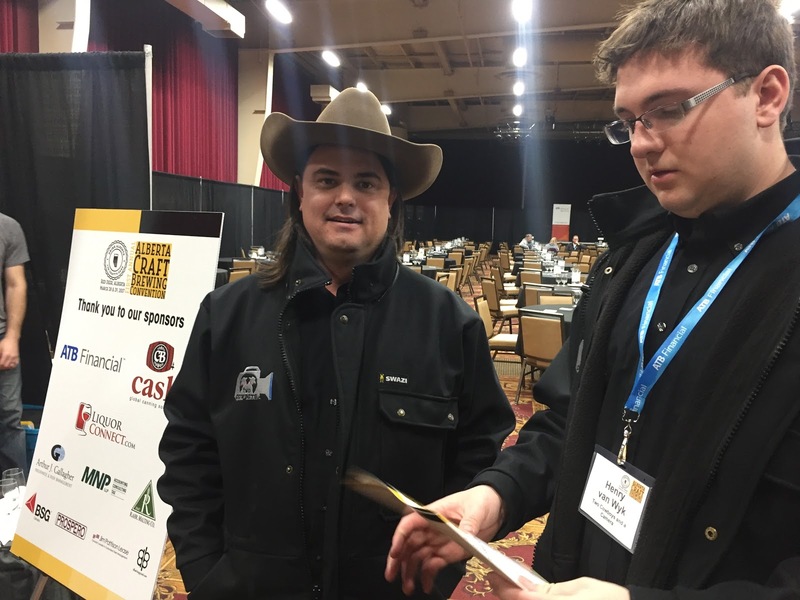 Will the economics stack up around the craft brewing and distilling industries in Alberta? We don't know that yet. We have the foundation in our well-established grain and century old malting legacy. Maybe it will. There are bound to be winners and losers. What we do know is that all this enthusiasm is ensuring we get to drink fresh beer with our friends at our local. Sounds like heaven, doesn't it? That is why we are on the Great Alberta Beer Run to get to know our breweries and brewmasters. To separate fact from fiction, and to learn who plays dress-up and who are the real community players. There is a lot of road ahead and a lot of beer to sample. As you've also probably gathered, there is also a lot of interesting stories to tell and large claims to be validated. Most of it comes with a little ridiculousness and a whole lot of fun in every glass. What a glorious time to be in Alberta! Enjoy our coverage of the event. See you on the road for a cold one. If there is an incentive for people to produce, then what is the driver for it to happen? In 2013 High River was one of the small towns in Alberta devasted by flash flooding. The nearby Rocky Mountains had a larger than usual snow pack. Spring arrived early with the first rains. Everything melted faster than usual. Overnight, rivers and creeks turned into raging torrents. Like many other communities in the Foothills of Alberta, High River was in the way. Its downtown core and many of its small businesses, which already faced economic uncertainty from a faltering oil industry and globalisation pressures were caught in the deluge. We thought that the town will never recover. The character of High River, which was the pinnacle stop on the Canadian Cowboy Trail would forever be altered. It is now almost four years after the floods. The good news is that High River recovered and reinvented itself in the process. It now stands as a symbol of the enterprising nature of the people of Alberta. It is open for businesses once again. Albertans find new ways to move forward when they face adversity. They are builders that work with their fellow community members to reinvent and take charge of their destiny. They make lemonade when they have lemons. Brew beer and distill Whisky when the oil price is down. They build better towns when those are destroyed by flooding. Olson Silver Company was one of the businesses severely affected by the flood. They are located in High River. The company has grown from a hobby of Jim Olson’s in the early 1960’s into the largest belt buckle manufacturing shop in Canada. The third generation is still making everything in the same shop, with very little reliance on outside suppliers. Olson belt buckles are some of the most sought after trophies at many rodeos, from small town amateur events to the Canadian Finals Rodeo and all levels in between. It is an authentic and inspirational business that reinvented itself after the floods and as a consequence of it. It now combines the traditional, tried and tested approach of high-quality craftsmanship with new talent and designs. 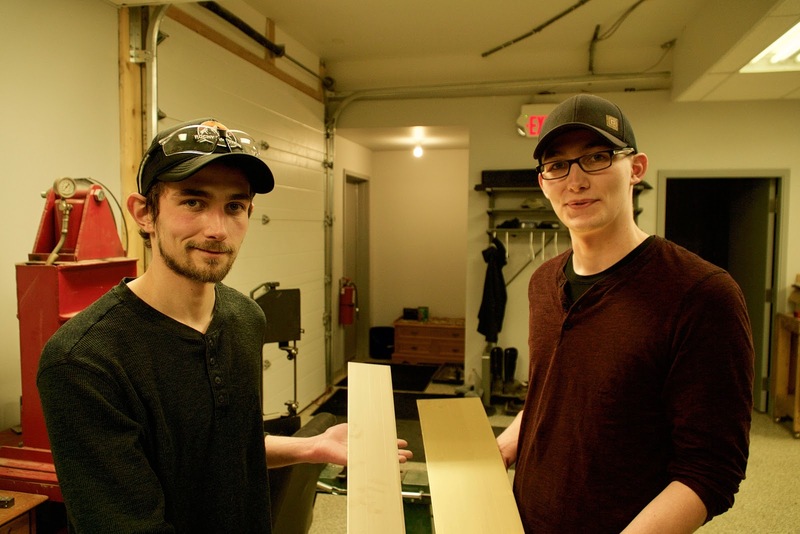 Two young brothers joined Greg Hitchner's team, after the flood. 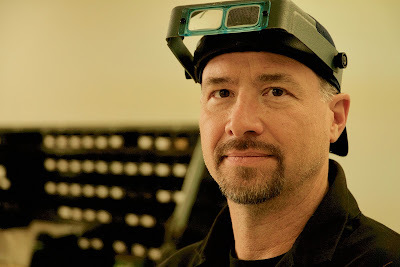 Greg is the owner, custodian and chief maker currently presiding over the company's legacy of beautiful and famous Cowboy style buckles and silverware. With new talent comes a new energy for tradition. They also bring an enthusiasm for inventing, new designs and for the art of making something beautiful, valuable and authentic that is from Alberta, our home. Greg and his team made beautiful decorative buckles for us that we wear proudly. 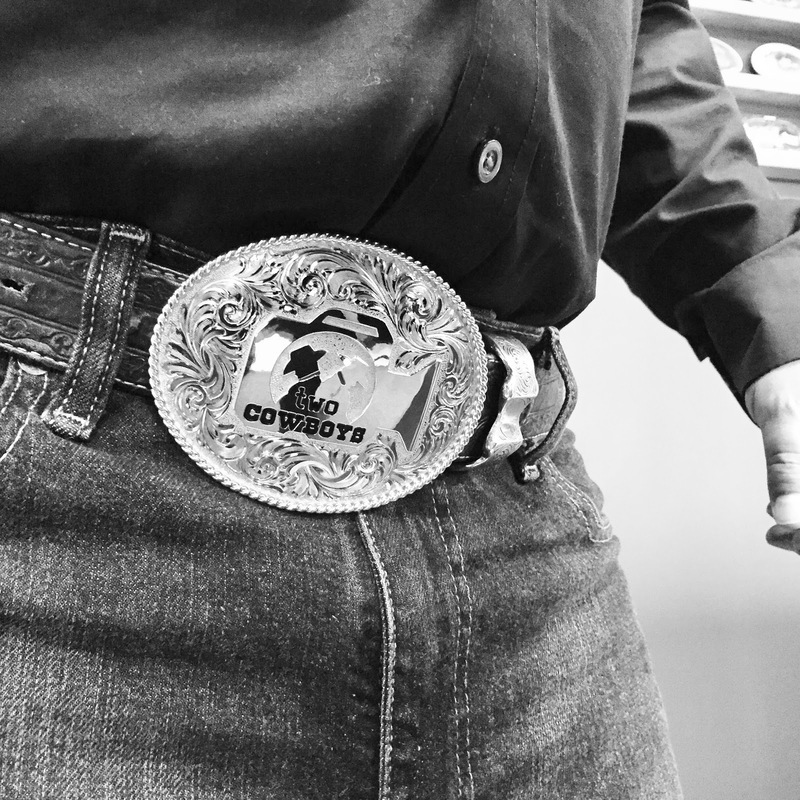 It is a symbol of the tradition and values that we stand for as the Two Cowboys & A Camera. The buckles are tokens of our commitment to the makers in our communities. It showcases the integrity, tradition and authenticity that comes from buying and using local products. These are people we support and that supports us. Manufacturers in foreign markets can churn out thousands of buckles an hour. 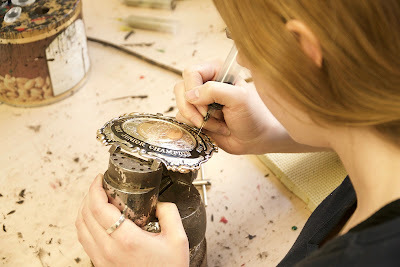 Making buckles is no longer an art only reserved for a select few talented artisans. 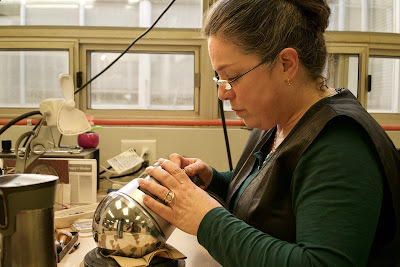 Some of these factories may even come close to the quality and design of what Olson Silver produces. If it was only about the buckle, it would probably not have mattered when one buys a cheaper version made elsewhere. However, it is not only about the buckle. Buying something made by a local artisan comes with a much bigger story. Wearing an Olson Silver buckle tells the story of the company, its people, the town of High River and the resilience of the many makers in our communities. We hope to encourage more people to shop locally with these and other makers. If we support local producers we are creating employment, character and capacity for growth. We are building our community. We are ultimately investing in ourselves. Order your buckle from Olson Silver Company. It is something personal, and they will make it exceptional.